An unscheduled (i.e. plane wasn't going to make it quite all the way to Washington) visit to Newfoundland, pre-empted the planned visit to Niagara Falls in 1976. If its trees you're after then Newfoundland is your place. 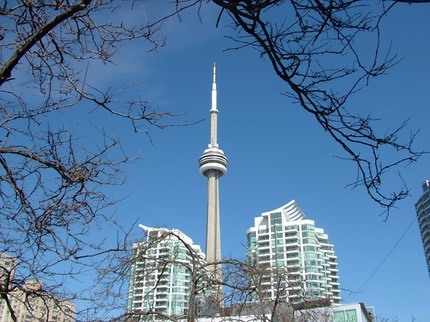 I had a business trip to Toronto in April 2005 which allowed a small amount of time to go up the CN Tower and try a few restaurants and bars. 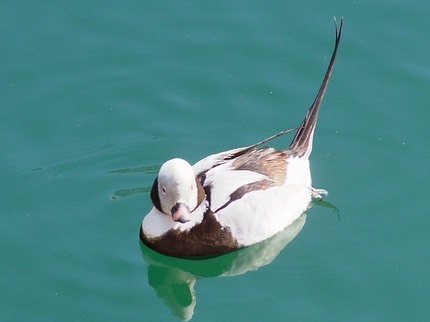 In the UK a relatively rare duck, that took me until 2012 to see, but in Toronto they are common in the dock area. Also in North America they are called Oldsquaw, as they are supposed to look like Indian wives.